Epic theatre (German: episches Theater) was primarily proposed by Bertolt Brecht who suggested that a play should not cause the spectator to identify emotionally with the characters or action before him or her, but should instead provoke rational self-reflection and a critical view of the action on the stage. 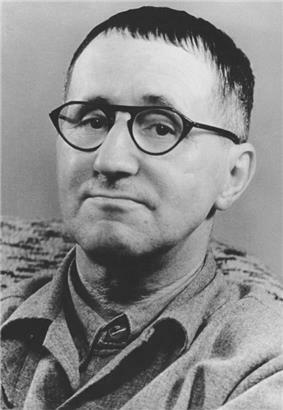 Brecht thought that the experience of a climactic catharsis of emotion left an audience complacent. Instead, he wanted his audiences to adopt a critical perspective in order to recognise social injustice and exploitation and to be moved to go forth from the theatre and effect change in the world outside. For this purpose, Brecht employed the use of techniques that remind the spectator that the play is a representation of reality and not reality itself. 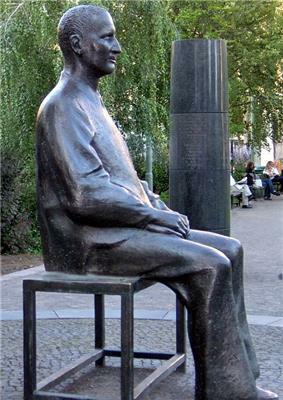 By highlighting the constructed nature of the theatrical event, Brecht hoped to communicate that the audience's reality was equally constructed and, as such, was changeable. Epic theatre was a theatrical  A function of the style of theatre is to ensure that the audience is consistently aware that they are watching and involved in an artificial production. Epic theatre was a reaction against popular forms of theatre, particularly the naturalistic approach pioneered by Constantin Stanislavski. Like Stanislavski, Brecht disliked the shallow spectacle, manipulative plots, and heightened emotion of melodrama; but where Stanislavski attempted to engender real human behavior in acting through the techniques of Stanislavski's system and to absorb the audience completely in the fictional world of the play, Brecht saw Stanislavski's methodology as producing escapism. Brecht's own social and political focus departed also from surrealism and the Theatre of Cruelty, as developed in the writings and dramaturgy of Antonin Artaud, who sought to affect audiences viscerally, psychologically, physically, and irrationally. One of the most important techniques Brecht developed to perform epic theater is the Verfremdungseffekt, or the "alienation" effect. The purpose of this technique was to make the audience feel detached from the action of the play, so they do not become immersed in the fictional reality of the stage or become overly empathetic of the character. Flooding the theater with bright lights (not just the stage), having actors play multiple characters, having actors also rearrange the set in full view of the audience and "breaking the fourth wall" by speaking to the audience are all ways he used to achieve the Verfremdungseffekt. ^ Wiles, Timothy (1980). The Theater Event. Chicago: Chicago University Press. ^ Innes, C.D. (1972). Erwin Piscator's Political Theatre. Cambridge: Cambridge University Press. ^ Bertolt, Brecht "Brecht on Theatre", page 121. ^ Quoted by Willett (1964) 282. Brecht on Theatre: The Development of an Aesthetic. Ed. and trans. John Willett. British edition. London: Methuen. ISBN 0-413-38800-X. USA edition. New York: Hill and Wang. ISBN 0-8090-3100-0. p. 179-205. Wiles, Timothy (1980). The Theater Event. Chicago: Chicago University Press.